The old ways of marketing where a business placed an advertisement to attract consumers to generate sales is no longer the main form of reaching today’s technology based society. The internet has provided an avenue where the entrepreneur can be on a even playing field with the big conglomerate corporations. In the world today, marketing is all about, as Seth Godin says, “attraction and connections.” But, what tactics create this attraction and connection that will get the results that you, the business owner ultimately want? 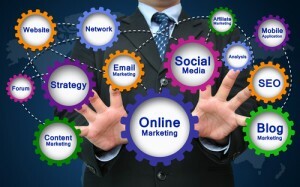 Well, here are some ways that I believe are currently consider the new ways of marketing. Not only should you participate in online events such as Google Hangouts, other webinars and events, and live events, you should also plan and host them. Having online and live events is a great way to personify yourself to your audience. Until they hear you or see you live, you might just be an avatar on the computer screen. Once you do show yourself, your business will explode.